As the old saying goes, “Location, location, location!” It is all about location. Your business can either flourish or fail depending on where it is located. To ensure that each and every customer locates your business as quickly and directly as possible, online and in person, get it on Google. 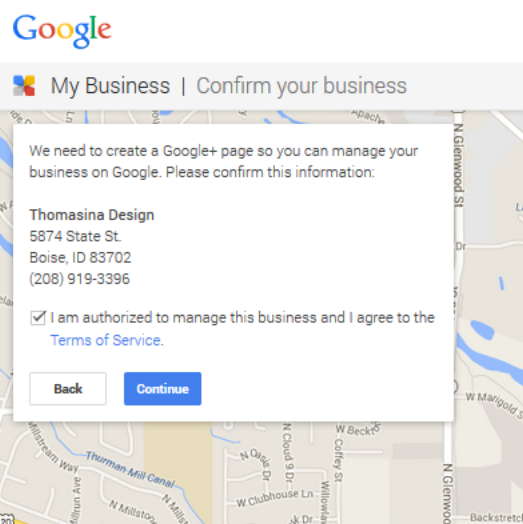 Google offers a FREE service entitled “Google My Business”. Google My Business enters your information into Google Search, Google Maps and prompts you to create a Google+ page where you can track Google Analytics and Adwords. This means that customers will be able to find your business more quickly and conveniently while you are given the proper tools needed to optimize your online presence. What makes this service so great? It gives potential customers your business’s hours of operation and contact information that they can use with the click of a button right from their smartphones, straight from the Google Search page. Your potential customers, who may be in a hurry to find out when your hours are or your phone number, will not have to navigate through your website to find the information they need. Google My Business also sets up direct driving directions to your business from wherever your potential customers may be. With one click, potential customers can be on their way to becoming customers. This, too, can be accessed directly from the Google Search page. After your business is entered into Google Maps, you can add live links for these directions to your website. Your customers will be able to click the link, straight from your website, and get reliable directions directly to your business from wherever they are. The value of convenience is something that cannot be measured. Having this link to Google Maps and becoming more easily searchable on Google Search can be what is standing in the way between you and your customers. It may be what puts you ahead of your competition. Simply being listed in Google Maps boosts your rankings, which will generate more traffic for your business’s website. This service also allows customers to leave reviews of the products or services that you offer, for potential customers to see. 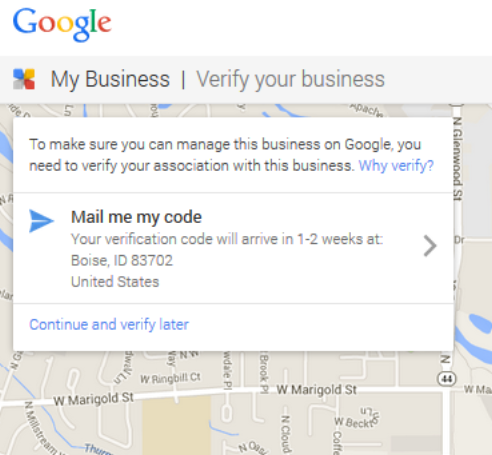 As you can see, the perks of registering your business with Google My Business are virtually endless. Google My Business will allow you to add your business or, if you have an established business, claim it as your own and control the information that is published about it on Google Search and Google Maps. To do this, go to Google My Business. 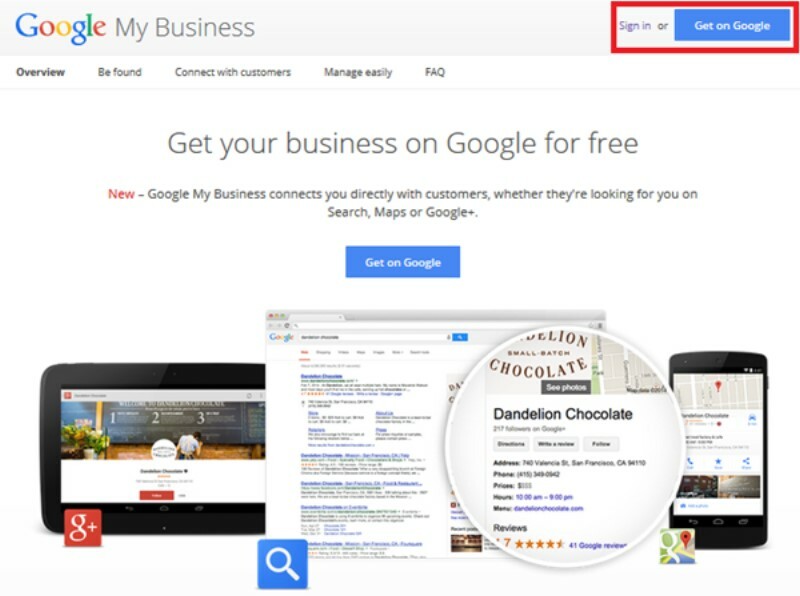 The Google My Business home page explains what Google My Business can do for you and extra perks. After you have decided that adding or claiming your business on Google My Business is right for you, click “Get on Google”. Depending on how popular your business has been on Google in the past it may or may not show up. That is okay. If your business appears, click on it. If it does not appear, click “Add Your Business”. This will prompt several questions about your business. Make sure that all of the information you have entered is as correct and specific as possible. Next, Google will ask you to categorize your business. This categorization determines how Google will classify your business. If you begin typing the category you think fits best, suggestions will show up. There are preset categories for each industry. If you are not completely satisfied with this choice, know that you will get the chance to add up to 5 later on. For now pick what describes your business the best. To ensure that your business is really located where you say it is, Google will send a post card to the address that has been provided. This postcard will arrive in 1-2 weeks and it will have your PIN on it, which will be used to verify that you have the right to manage the account and the address belongs to property that you have access to. Your business is a constant investment of time and money. Why not invest a few minutes of your time to ensure that Google knows all about your business so that potential customers can become real customers? This free service is something that you cannot afford to go without. I’d like you know to clear your schedule, take a few minutes and execute on what I have taught. Feel free to ask any questions in the comment section below as you go through the process.